This year is shaping up as a huge one for online slots. Have a look at some of the best new slot games of 2019 and our recommendations for the safest casinos to play them at. 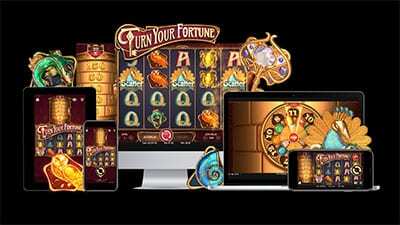 NetEnt kicked off the new year with the release of Turn Your Fortune, which features a charming old-fashioned visual theme and a unique bonus wheel that offers a variety of free spin rounds. 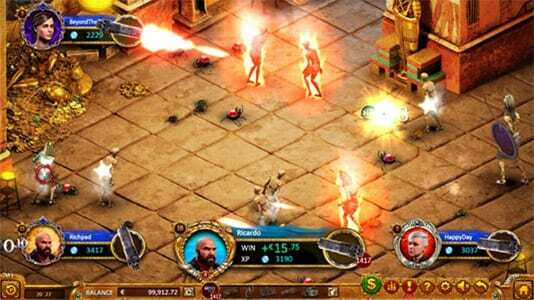 “Turn Your Fortune offers great and innovative game mechanics,” Bryan Upton, NetEnt Director of Game Products. 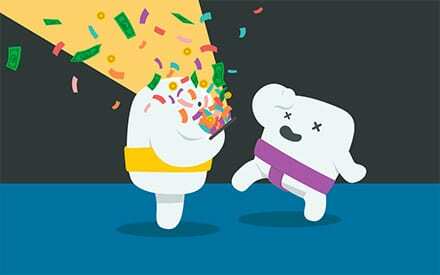 “I’m sure players will have an exciting experience as they work their way up the Fortune ladder. 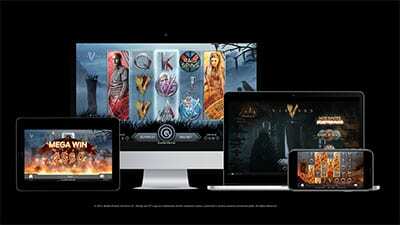 November witnessed one of the year’s hottest releases with the launch of the Vikings online slot, which features characters and graphics from the hit TV series. “With its epic storytelling and loyal global fanbase, Vikings is an iconic franchise,” said Bryan Upton, NetEnt Director of Game Products. Betsoft’s biggest release of the year ranks among the most ambitious online casino games ever released, combining platform-style progression and console-quality graphics with a unique multi-player format. “Max Quest is more than just Betsoft’s marquee release for 2018; it’s an entirely unique proposition,” said Betsoft’s Marketing Director, Annamaria Anastasi. “Our team of artists, designers, developers, marketers, and other experts have created an experience that, I believe, stands apart from anything the iGaming industry has seen before. Ever at the forefront of online casino gaming, Microgaming leads the way in 2017 with a pair of fresh releases for January. First cab off the ranks is Huangdi The Yellow Emperor – a fully loaded feature slot that pays homage one of ancient China’s most influential figures. Notable for its beautiful Asian artwork and a distinctive musical theme crafted in-house using traditional Chinese instruments, The Yellow Emperor online slot game boasts five reels and 25 paylines with stacked symbols, expanding wilds and a scatter bonus that unlocks 15 retriggerable free spins. 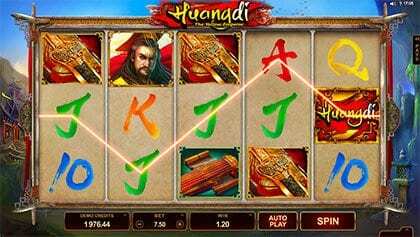 Huangdi: The Yellow Emperor is live for real money bets now at Jackpot City Casino. 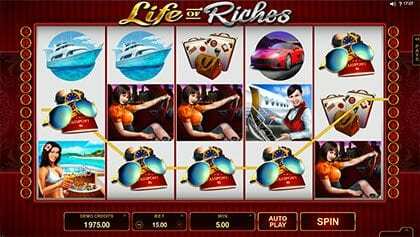 Also new for January 2017 is Microgaming’s Life of Riches slot game. All glitz, glamour and finer things, it features a classic 5×3 reels video slot layout with 30 bet lines and a luxurious symbol set consisting of yachts, sports cars, private jets and other such playthings of the mega rich. The highlight: a free spins bonus game that comes with a fixed double multiplier as well as a stacked wild multiplier feature that awards quadruple the standard line win. Online slot players can enjoy a Life of Riches on desktop and mobile at Royal Vegas Casino. Thunderkick impressed a great many people in the industry last year with its innovative and fiercely original real money slot releases. If Turning Totems is anything to go by, the company won’t be toning down its approach in 2017. Inspired by the ancient cultures of the first Americans, this quirky five-reel video slot is bursting with quality, charm and clever features – not least of which are the Sleeping Wilds respins and a unique bonus round that comes alive when three or more Thunder Reels are activated. 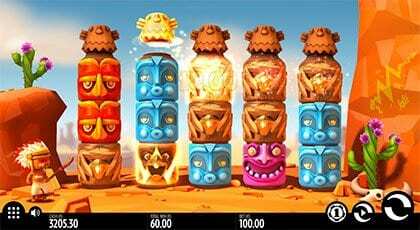 Play the wonderful Turning Totems online slot today at Slots Million. Net Entertainment went back to the bush in March with the launch of Jungle Spirit: Call of the Wild across all platforms. Featuring free spins, expanding symbols and 243 ways to win, it revels in the majesty of African wildlife with rich high-def graphics and a thumping soundtrack full of thundering drums and tribal rhythms. 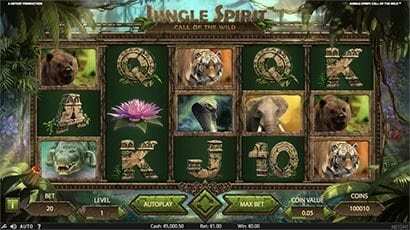 Among the highlights of the Jungle Spirit slot game is the signature Butterfly Boost bonus feature, which appears at random in the main game and improves winning combinations as it flutters around the reels. The Jungle Spirit: Call of the Wild online slot is available now for real money betting at Guts Casino. Watch this space as we bring you all the best new internet slot games. 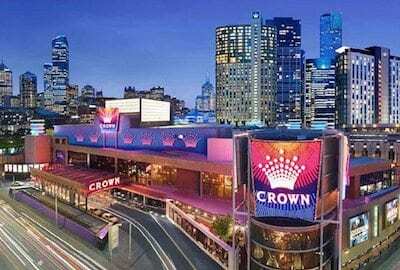 For more online slots available at our top-ranked real money casinos, see our list of game reviews here.